No sooner had I been ushered into the glittering atrium of MSC Cruises’ sparkling new MSC Seaview than I was being rushed off for a complimentary spa treatment. It’s all right for some, you may be thinking – but when you’ve grown up in the north of England, in a family where visiting the spa normally has an ‘r’ on the end of it, you’re a little trepidatious about these things. What was the etiquette? Would I be treated by a man or a woman? What if I fell asleep and started dribbling? As I was led to the treatment room by my friendly masseuse, I began to calm down. ‘Maybe this will be quite nice,’ I thought, as soothing sounds and aromas surrounded me. But then I was given a pair of disposable underpants. Very small disposable underpants, apparently made of paper, and told to put them on. ‘You seem quite tense,’ said the masseuse a few moments later, exhibiting a rare gift for understatement. But then, once I had my new garments on the right way round, a strange thing happened. I actually started to relax. Soon my 30-minute session faded into a blur, and by the time I was told the massage was over, I felt like a new man. I didn’t even care that there was no obvious place to dispose of my disposable underwear. I just left them on the massage table without a care in the world (sorry Mum). I’d been invited on board to attend the christening ceremony, due to take place in Genoa with screen legend (and godmother) Sophia Loren cutting the ribbon. But before that I had three days to explore this brilliant ship – and let me tell you, she is simply packed with things for her 4,000 guests to do. Want to re-enact your favourite scenes from The Big Lebowski? Seaview has not one but two full-sized bowling alleys where you and your pin pals can bowl strikes, spares and, in my case, gutter balls to your heart’s content. There’s also a full arcade to explore, with videogame cabinets, air hockey tables and a full-sized F1 simulator (safe to say that last one will be popular with the dads). After my bowling disaster I fared much better at the XD Cinema next-door, which is basically a mix of a 4D cinema and a videogame. You’re handed a toy gun and tasked with shooting all manner of monsters that appear on screen (be they zombies, werewolves or killer fish), while your chair rocks back and forth to fully immerse you in the action. It’s seriously good fun and kids will absolutely love it (even if they’re being beaten by a grown-up reporter who really needs to assess his life priorities). The family fun continues with MSC Seaview’s excellent collection of waterslides – five of them – some of which hang off the side of the ship. And if you’re looking for a gentler water-based experience for younger cruisers, there are the AquaPlay and AquaSpray adventure parks, complete with rope bridges, spray cannons and dump buckets. And still there is more to keep the kids occupied. Teens are catered for with two separate clubs (for 12 to 14s and 15 to 17-year-olds) where they can chill out in their own lounge, watch movies in the cinema and dance the night away in the disco. Littler ones have it just as good, thanks to MSC’s continuing partnership with LEGO and toddler-friendly Chicco. But it’s not just the kids who will have a good time on Seaview – adults will find plenty to enjoy too. 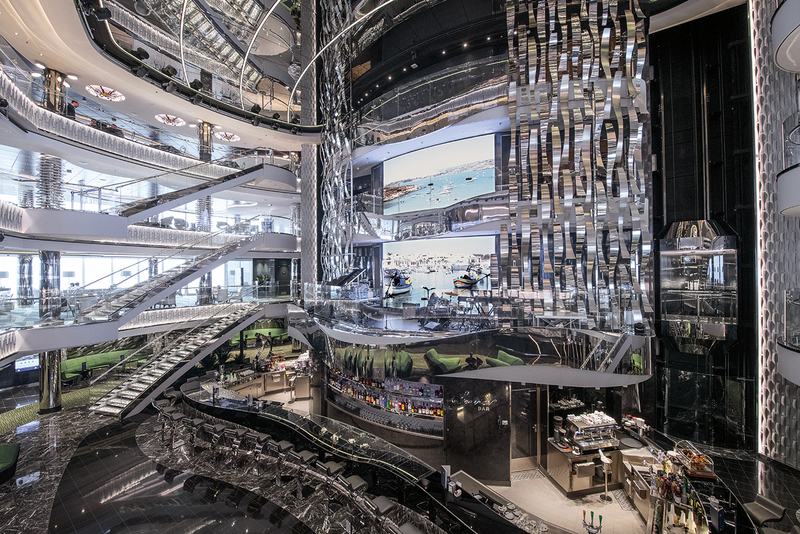 The first thing you’ll see upon boarding is the four-storey atrium, glittering as far as the eye can see with chrome and Swarovski crystals (you’ll get to know it well, as this is the central hub for the ship’s many bars, shops and restaurants). 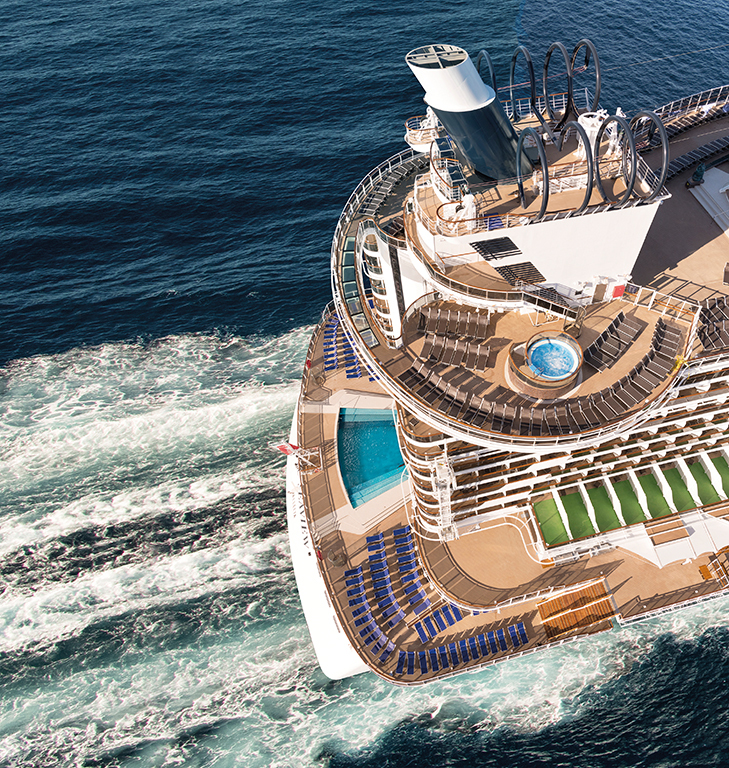 Speaking of food, those who’ve already experienced sister ship MSC Seaside will find much that’s deliciously familiar. The brilliant mix of Hawaiian and Japanese flavours remains intact at the Asian Market Kitchen, presided over by US celebrity chef Roy Yamaguchi – and we were even treated to a demonstration by the man himself, who served up a plate of sashimi so fresh I can only assume he spent the morning fishing for it. One big change, however, comes at Ocean Cay, where double Michelin-starred chef Ramon Freixa displays his mastery of seafood and Spanish cuisine. Well, the proof is in the pudding – or in this case the oyster – and I can report that the (admittedly high) prices are well worth it. But you won’t want to be spending too much time indoors on Seaview – not because it isn’t fabulous but because it features the largest waterfront boardwalk at sea, so it’s perfect for dining alfresco or enjoying a nightcap under the stars. In fact, getting closer to the sea is what Seaview is all about – the clue is in the name – and whether you’re taking a stroll across the aptly named Bridge of Sighs (a glass-floored walkway, 40 metres above the waves) or boogying on down at the Boardwalk bar, you won’t be far from those wondrous sea views. I haven’t even mentioned the intimate Odeon Theatre, which hosts no fewer than seven different shows over the course of a cruise, or the sweet treats at the Venchi chocolate bar, or the longest zipline at sea, which extends for an adrenaline-pumping 394ft. 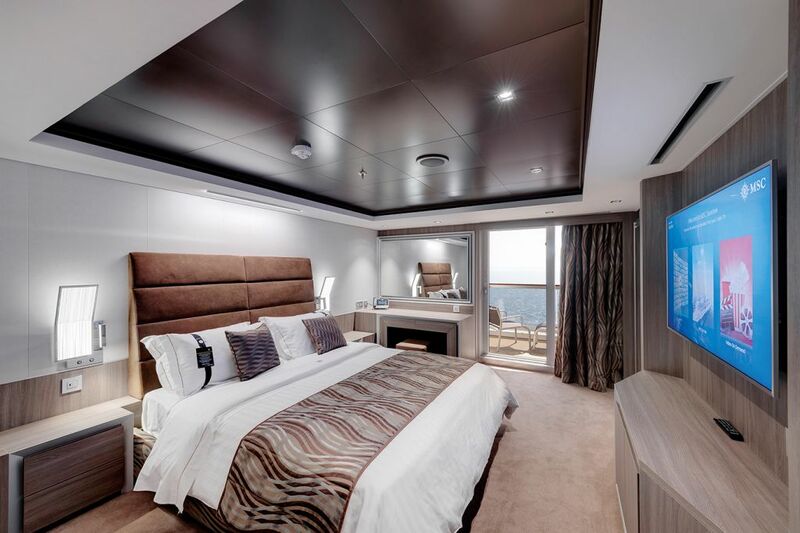 Fitting everything this ship has to offer into one holiday would be a Herculean effort – but you’ll have the best time trying. And if it all starts to get a bit too much, make your way to the spa and you’ll emerge relaxed, revived and ready for anything. Even if it involves paper underpants.